Zinc plated or Galvanised self Drilling screws can drill their own pilot hole due to their design which incorporates a special point similar to a drill bit. 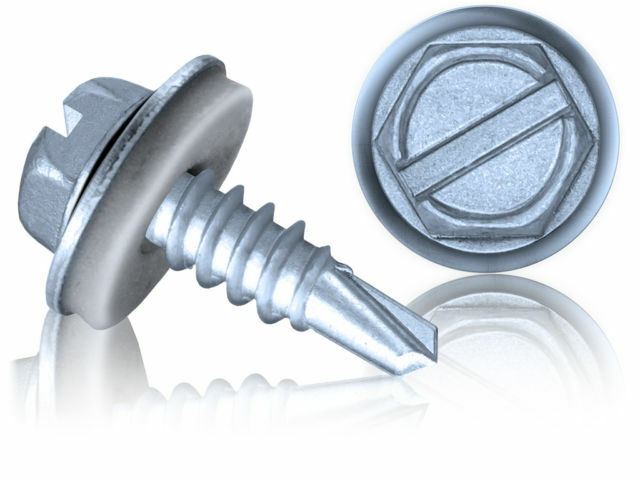 Our Zinc plated steel self drilling screws are ideal for a range of of sheet metal material including Aluminium, Aluzinc and Galvanised steel. Our range of material includes can be supplied with and without our silver slide coating, on their own or with washers polymide or EPDM bonded. The head types are Hexagon, Hexagon slotted, pan head Philips or pan head square slot (bit included).